NORTHERN MOZAMBIQUE has a unique charm, unlike anywhere else in Mozambique. Beautiful, sun-washed islands, captivating towns & unspoilt wilderness make for an unparalleled holiday experience…Airlink offers direct flights to Pemba on Tuesdays & Saturdays, and Air Mozambique flies every Wednesday, Friday & Sunday.Fascinating Pemba, and the 32 islands of the Quirimbas offer unsurpassed luxury in a number of top quality resorts…LONDO LODGE just 15 minutes by boat from Pemba, is a stunning resort with 6 private Villas, and an award winning restaurant. Two of the villas offer unsurpassed luxury with the added indulgence of your own private plunge pool. 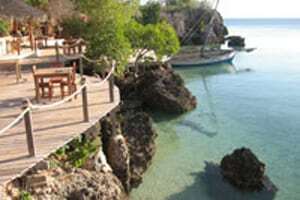 From now until mid-December, book a minimum of 4 nights, and partner pays only 50 %!PEMBA BEACH HOTEL & SPA is one of the largest hotels in Mozambique with 100 rooms & suites, and incredibly reasonable rates, making it the ideal conference & incentive group venue, or the perfect base to explore the town of Pemba and surrounds.MATEMO ISLAND RESORT on one of the most beautiful sandy white beaches in Mozambique is an idyllic family holiday destination. A day visit to the cultural and historically rich Ibo Island is a must! Or spend a couple of nights at the stunningly unusual IBO ISLAND LODGE, where accommodation includes an island tour & daily transfers to a private beach.Other top resorts, all perfect for that special Honeymoon, include the “undiscovered” island of QUILÁLEA with 9 private luxury Villas, or MEDJUMBE PRIVATE ISLAND RESORT with 13 chalets each with private sun-deck and plunge pool, or in the further reaches of the Archipelago; VAMIZI PRIVATE ISLAND, with 10 Villas situated on a long beautiful powder-sand beach. Then, for something completely different, LUGENDA WILDERNESS CAMP in the Nampula Province of Mozambique is a stunning wilderness camp with just 8 luxury tents in one of the most unspoilt regions of Africa. 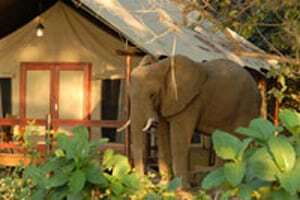 Accommodation is on a fully inclusive basis, with regular safari activities & a “resident” elephant that comes into camp to sample the Marula fruit from the trees in camp! Lugenda is only operational in the winter months – from May to November each year. Remember, for fly-in packages to Mozambique, both the SA & the Mozambique International departure taxes are now pre-paid with the air-tickets. 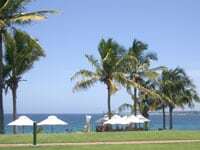 Although many resorts are now full over New Year, we do still have some availability at a few of the more upmarket resorts, in both Northern Mozambique, as well as the Bazaruto area. Plus various romantic extras for honeymooners ! Specials subject to exchange rate fluctuations & any airfare / Dep. tax increases. 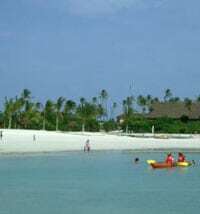 Exclude: Visas; meals & beverages not specified; fishing; diving; Spa treatments; and other activities or excursions not specified, etc.